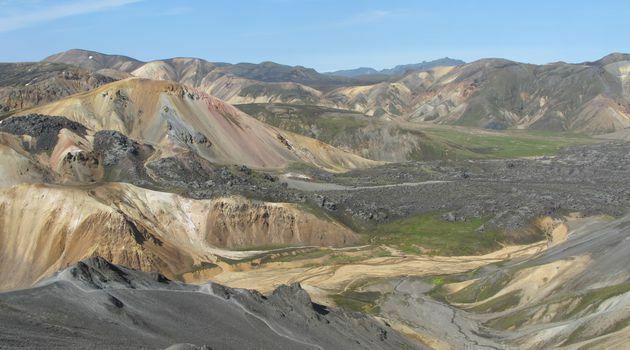 A scheduled bus from June 21st to September 9th - from Hella to Landmannalaugar. We have two pickups in Hella: Árhús and campsite. Departures at 07:45, 09:10 and 14:10. Bus stop. Departures at 07:55, 09:35 and 14:35. A ride with our highland bus from Hella to Landmannalaugar.